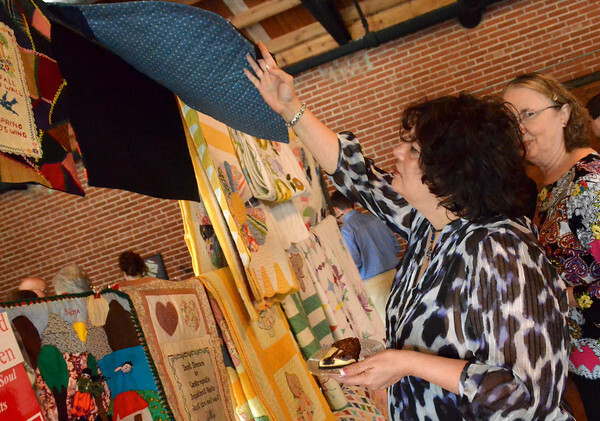 Cheryl DeLay looks at quilts that are for sale at Mission Norman's fundraising event at the Hall at Old Town Plaza Thursday evening. The organization is holdong the first annual event in order to raise money for Mission Norman. The quilts for the event were donated by Judy Howard.